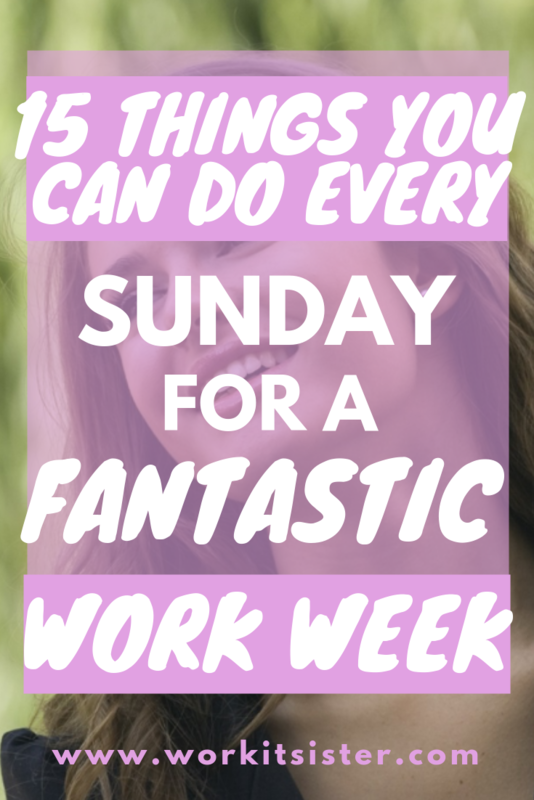 15 Things You Can Do Every Sunday for a Fantastic Work Week! Don’t get me wrong – Sundays are perfect for spending a relaxing day at home. Perhaps you do some laundry, watch a few shows on Netflix and take a relaxing bath. But Sundays are best served as the transition between the weekend and the week ahead. The day when you unwind and recover from all the fun, you had on Friday night and Saturday. But also, the day when you prepare for the work week ahead. Ever felt a sense of panic when you wake up on Monday morning? You have so much to get done, but you did not plan or prepare at all. It can leave you feeling rushed, overwhelmed and stressed all week. And that will impact your performance at work. When you have some time at home, it is the best moment to get your groceries sorted for the week ahead. Think about some great meals you can prepare for breakfast, lunch and dinner throughout the week. And try to buy as many fresh, healthy and unprocessed ingredients as you can manage! Trying to cut down your spending on fast food and eating out? Spend some of Sunday preparing meals and snacks for the week ahead. You can batch cook your lunch for work, while you can even freeze meals such as burritos for those days when you come home late from work. Put together a few snack packs as well. Those are great for staving off hunger cravings in the middle of the afternoon. Instead of being tempted to buy a bagel or a sweet snack from a nearby coffee shop, you can munch on some healthy nuts and seeds instead! If you have meetings and appointments related to your job in the coming week, plan them all out. Sort out times for appointments that were open-ended, while firming up plans that you had already set. Try to schedule your appointments so that you have a decent gap before and after them. If a meeting ever runs late, you will not feel as though you are rushing to try and get to the next appointment in ten minutes! Untidy and disorganised living space will only add to the chaos in your life. Spend 30 to 45 minutes cleaning your home or apartment. It does not have to be a grand undertaking. Even a simple bit of dusting, vacuuming, throwing away items you do not need, and putting everything else back in its proper place can help so much. When your living space is tidy, you will feel less overwhelmed and cluttered as you get ready to head to work each morning. If your job is anything like mine, you probably have a list of to-dos that feel so overwhelming each time you look at them! What I like to do is sort them out by priority. Look at the tasks that are the most urgent and essential. Focus on those first. If you get them done in time, you can move on to other items. Try to pinpoint how much you can get done in the next week and set yourself a target. Not only will you stay focused, but it will feel like a great achievement when you finish those important tasks by Friday! Sunday is the perfect day to peek at your bank balance to see how much you spent in the past week. Do not be afraid – that bill from the bar on Friday night is probably not as bad as you imagine! Even if you did spend a bit more than you planned, you could always tweak your budget for the next week to make up for it. While it is important to work out several times a week, Sunday is the ideal day to get in a good session. Whether you exercise at home, go to a nearby park or visit the gym, it could be a clear part of your routine on this day. By exercising on Sunday, you are clearing out all the toxins and fatigue from your body that arises from being out late on Friday and Saturday. And you are giving your body the energy that it needs to sustain you throughout the coming work week. 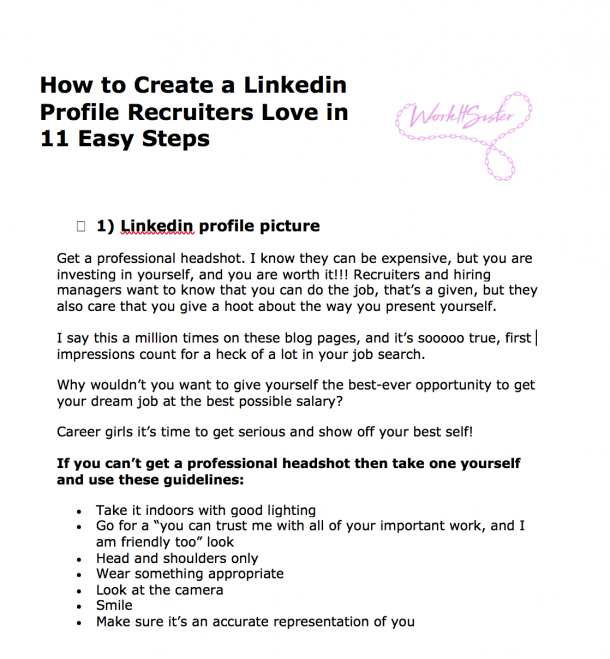 Open your work and personal email inboxes. Delete any mail that you would deem as junk or irrelevant. If you received emails related to work, respond to them all. Do not put it off until Monday, as you will probably have a lot more to do then! Try to respond to personal emails and Facebook messages as well. It can be hard to keep up with so many old friends, but it is always great to put in a little effort to keep in touch with the important people in your life – especially if they took the time to send you an email or message. Do you want to accomplish something special this week? Set goals that you can achieve in a week. It can be something as simple as saying you will not order takeout for a single weeknight! Or that you will hit the gym at least twice after work! Goals are so important for a healthy life. Not only to accomplish work goals or improve physical fitness but for your mental health. When you set an achievable goal and achieve it, you feel so much better about yourself. 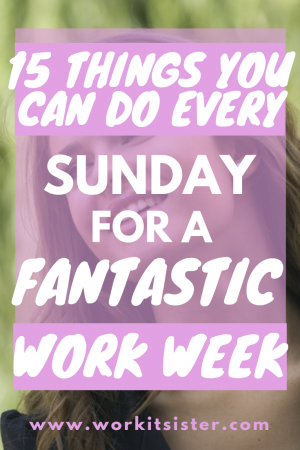 Amid all the planning and meal prepping, you could start to feel as though your Sunday has become a work day! Make sure you are spending enough time relaxing and practising self-care. Whether it is reading a book in a quiet room, watching your favourite television drama, catching up on The Bachelor or taking a luxurious bath with a bath bomb, you should never be shy of treating yourself to some relaxation and enjoyment on Sundays. Put all your dirty clothes and linens through the wash. Sunday is the best day to do laundry, as you will never have enough time or energy during the week. And you would much rather go out on Friday and Saturday with friends, instead of being stuck at home waiting for your clothes to dry! If you are a working woman, you have experienced this feeling at least one time in your life. You step out of the shower, ready to change and head to work. But you suddenly realise that you have no idea what you will wear! Even if your closet is full of clothes, you are just not sure what outfit will work for the crucial meeting you have at work. Do you dress a little casually? Should you be as formal as possible? Instead of trying to answer those questions in two minutes at 7am, set aside your outfits for the work week. Hang them together in your closet, so you already know what you will wear to work Monday to Friday! It can be so frustrating when you are trying to find a piece of gum or your subway card in your purse, only to spend the next five minutes rummaging through all the junk that is in there! Take a moment on Sunday to clear out your bag. Throw everything onto the floor, sit down on the carpet and place items into two piles. One pile is items you are throwing or putting away at home. The second pile is items that go back into your bag for the week ahead! Between our smartphones, laptops, tablets, wireless headphones and battery packs, it seems as though every useful electronic device needs to be charged! Sunday evening is the moment when you should check on all your portable electronic devices. Give them a wipe down with a microfiber cloth, ensure everything is in good working order, and plug them all into a charger. Now you will have fully charged headphones, laptop, tablet and battery packs that you can use throughout the week. Monday to Friday should not be solely about work. While your work week schedule takes priority, having some fun for a couple hours after work can be a great way to unwind after a stressful day. Call or text your closest friends and see if any of them want to grab drinks, see a movie or do something fun for a couple hours during the week. It can be a great way to ensure that everyone stays in touch, while it gives you something to get excited about! By doing at least some of these fifteen things on a Sunday, you can help set yourself up for success. Sunday is a great day to spend with family, relax at home and catch up on some sleep. But it is also the perfect day to clean house, prepare for the work week ahead and declutter your life!